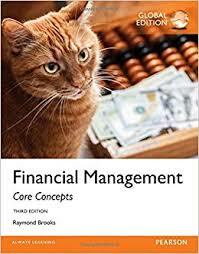 Na stronie redakcyjnej: "Authorized adaptation from the United States edition, entitled Financial Management: Core Concepts, 3rd edition, ISBN 978-0-13-386669-8, by Raymond Brooks"
245 1 0 %a Financial management : %b core concepts / %c Raymond M. Brooks. 250 %a Global edition, third edition. 260 # %a Boston [i pozostałe] : %b Pearson, %c copyright 2016. 500 %a Na stronie redakcyjnej: "Authorized adaptation from the United States edition, entitled Financial Management: Core Concepts, 3rd edition, ISBN 978-0-13-386669-8, by Raymond Brooks".